It’s many a woman’s fear—losing yourself (that is, your hard-earned pre-baby identity) to motherhood. Putting yourself first day in and day out can be a beautiful thing, and once that’s disrupted by the colossal needs of a child—for 18-plus years!—there might be days when you look in the mirror and don’t recognize the person starring back at you. To help keep the number of those days on the lower side, we’ve put together a list of ways to help you feel like “yourself” while you juggle the huge, priority-flipping demands of parenthood. –Prioritize Solo Time. When you’re shuffling between childcare and work 24/7, finding the time to hear yourself think can be a challenge. As much as you might desperately need girl time or couple time, solo time might be the most important kid-free hours of them all. Of course, no one is necessarily going to give it to you, so insisting on regular time for yourself—to go to a spa, hit up your favorite coffee shop, read a book, take a run, enjoy your home with no one else in it, even work—is key. –Keep Up Appearances. Your appearance, that is! It’s so easy to let leggings, an oversized sweatshirt, ponytail, and makeup-free face become your uniform (and really, there’s nothing wrong with that! ), but adding some comfortable, up-to-date garments in your wardrobe can help you feel current, cool, and more confident on those days that you decide to don them. Think about stuff that’ll get major mileage both on the playground with your kiddos and a night out with the girls: a pair of perfectly distressed jeans, a good tee, classic trench, and Chucks or a more upgraded flat. As for your beauty routine, embrace the “undone” look, and behold the transformative power of a great lipstick. –Maintain Career Ambitions. Whether it’s going back to work after having your child, changing careers or companies, or launching your own thing, having something to think about and strive for aside from your child’s needs can often create the space many people require to cultivate and maintain an identity outside of parenthood. And, before you drown in the “mommy guilt” that often falls on the shoulders of women working outside of the home, know that there is mounting evidence that children of “working mothers” end up with a plethora of benefits. –Make Date Night A Thing. To say kids can put a damper on a relationship is a huge understatement. All that time the two of you spent whiling away in bed on the weekends, checking out new spots around town, actually relaxing on vacation, and the like, suddenly seem like the good ol’ days. (Not that raising a child together isn’t sort of romantic in itself!) To help remember why the two of you even got together and procreated in the first place, having scheduled “date nights” (that can actual happen during the day, too) can be super restorative. Read these tips for launching a date night tradition to get started. –Keep Your Friends Without Kids. Sure, you might think you have little in common anymore, of believe your kid-free friends just don’t “get” your life. But it’s often these friends who can support you in ways your “mom friends” just can’t. First off, they are the “aunties” more likely to be available in a pinch to babysit your child(ren). Secondly, they’ll also quickly remind you of who you were pre-baby and help you get back on the horse, so to speak, suggesting movie dates, dancing nights, girls’ getaways, and the other things you enjoyed way back when (and might still enjoy today). Plus, the chances of having your conversations revolve around kid stuff is less likely. –Make Strong Mom Friends. 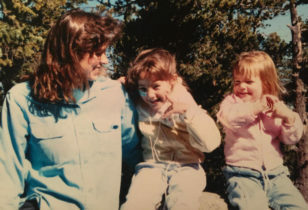 In past articles on this site, we’ve covered the importance making “mom friends.” Just to reiterate: There might be no one who “gets” you more than another woman going through the crazy experience that is motherhood. Luckily, hanging out with a really good mom friend, even if your kids are in attendance, shouldn’t feel like a chore, but rather a release from the isolating feeling that can often accompany motherhood. Who says that having friends with kids means that your entire friendship is focused around your children? 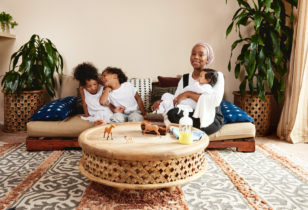 We’ve been lucky enough to find fellow mothers who have become our confidants on so many facets of our lives—well beyond stroller, sleep-training, and school admissions advice. –Read. Reading is one of those activities that not only takes time, it also takes a certain level of silence, focus, and solitude. All things that are sometimes hard to get with a kid nearby. If you were a big reader before having a child, it’s important to keep that aspect of your life in tact. Even setting aside 20 minutes of reading before or after you pick up your kid from school or putting on some ‘toons for your child so that you can finish that chapter or article can help keep your own intellectual stimulation (and happiness) alive. –Take A Kid-Free Trip. Whether with your best girlfriends or your partner, having a real break from parenthood (24 hours, at least!) and all of the freedom that that entails (waking up when you want to! being able to do whatever you want!) can be just what you need to feel like yourself again. –See A Therapist. Just because you’re a parent doesn’t mean you have it all figured out. In fact, it might all just amplify the fact that you really don’t have it figured out, in addition to triggering a lot of issues from the past and your own upbringing that could use some sorting. In this day and age, there shouldn’t be any stigma around seeing a therapist who is there to support you, and listen to you without bias. If you have insurance with mental health benefits, get on it already! –Keep Your Home Looking Like Your Home. We’ve written about it time and time again—a kid-friendly house doesn’t need to mean an ugly house. There are so many modern kids’ brands out there that are designing toys and home furnishings with the parents in mind, too. Meaning: Chances are you can find beautiful cribs, bunk beds, rugs, toys, shelving, and other kid-friendly knickknacks that’ll fit right into whatever your aesthetic is. Budget doesn’t necessarily matter, either. Like a lot of these mamas, you can start at Ikea! –Play and Exercise. Moving your body is not only great for overall wellness, it’s also a solid excuse for mind-clearing “me” time. If there was a sport you loved doing before having kids, maybe it’s time to take it back up again. At the very least, hitting the gym or a class to stretch your body and break a sweat can have a positive domino effect in your life. –Stay Cultured. New tunes, taking in an exhibit you’ve been wanting to see, or hitting up a movie theater or a new restaurant once in a while will help you escape your day-to-day responsibilities and spark some major inspiration. Try to schedule at least a couple of hours every month (or every week?) to do something for pure leisure. –Learn Something New. You encourage your kids to try new things all of the time. Take a dose of your own advice and sign up for an extracurricular. From pottery and watercolor classes to improv or trapeze—the power of play and educating oneself is important for growth. –Make GNOs A Regular Thing. It doesn’t even need to be at night, necessarily, but booking regular time with your girlfriends can be a sanity-saver on so many levels. Weekly dinner and cocktails, monthly game nights, however you want to do it, try to do it often. –Have Your “Shows”. There are so many great TV shows and addictive podcasts out there these days. Pick your poison, and stay up-to-date on it. It is, after all, the simple pleasures in life that keep you smiling and help parenthood- and work-related stress melt away. –Hire A Housekeeper. Regardless of if they work outside of the home or not, women are still doing way more of the housework than men, on average—and parenthood only compounds things! That means, more hours each week spent tidying up and less hours spent relaxing, spending quality time with your children, or scheduling quality time with yourself. All of the things listed above take time—time that you might feel is already too scarce in your life. If you can financially handle it, outsourcing a portion of the housework to someone else—or, at the very least, getting your partner or kids to step it up—could be a game-changer. –Get Your Partner On Your Side. We’re not sure how many articles about men finding identity outside of fatherhood actually exist out there. For varied reasons, a woman’s identity outside of being a mother and her identity as a mother seem more intertwined than a man’s—and perhaps many of us wouldn’t have it any other way. However, it might not always be apparent to all male partners how grueling (and yes, joyous, too) the job of motherhood can be. For that reason, it’s important to have open dialogue if you feel like your sense of self is being stifled by all of the responsibilities of parenting, and to figure out a plan so that you can keep growing both within and outside of motherhood. Have another tip to add? We’d love to hear the ways in which you maintain your pre-children identity in your day-to-day life in the comments below!